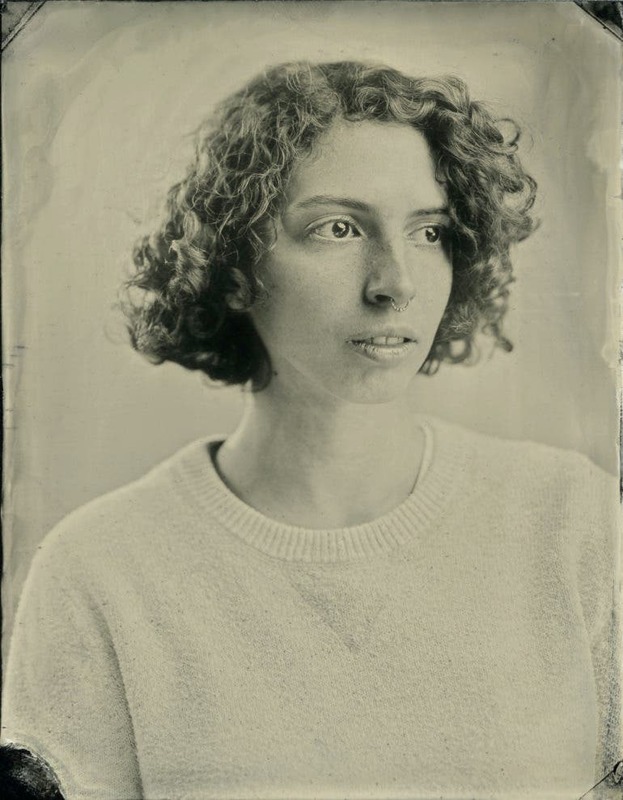 If you loved our feature on how old school photography studios are standing out today, here’s our full interview with Alchemy Tintype’s Ashley Jennings for additional reading. Ashley Jennings and her co-collaborators in 2016 couldn’t have picked up a more fitting name for their tintype studio. They called it Alchemy Tintype, inspired by the fact that they will be “taking a mundane metal and using chemical processes to make it precious.” Since then, she has taken over the studio and has been spreading the “magic” of the tintype process — through portrait sessions and workshops — to people of all ages, genders, and races. Phoblographer: Please introduce your amazing studio to us. When was it founded? 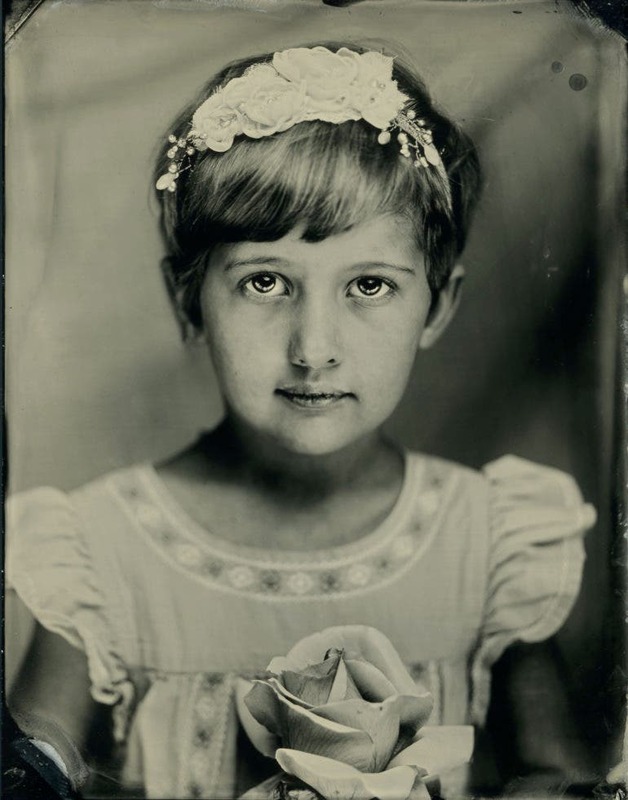 Why did you decide to open a studio specializing in tintype photography? 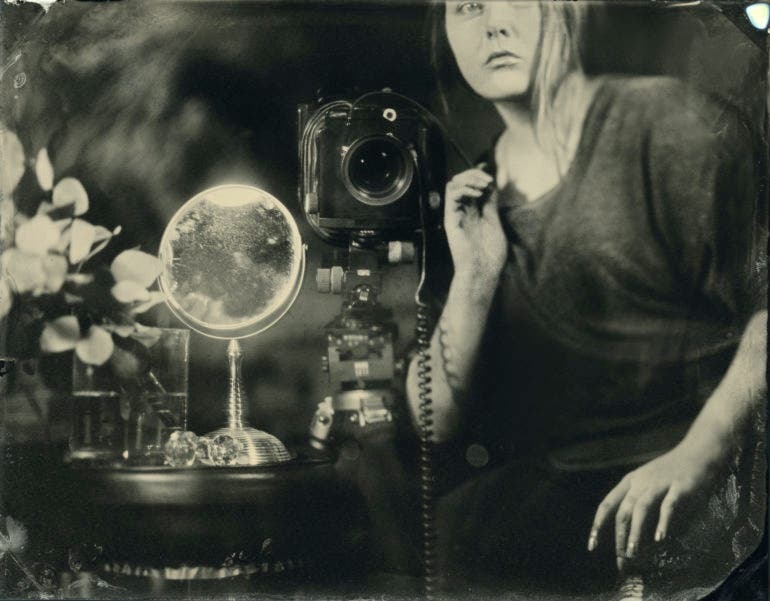 Ashley Jennings: In 2016, Alchemy Tintype studio began as a collaboration between three close friends as a traveling and “pop-up” wet plate collodion (a.k.a. tintype) studio here in Portland, Oregon. 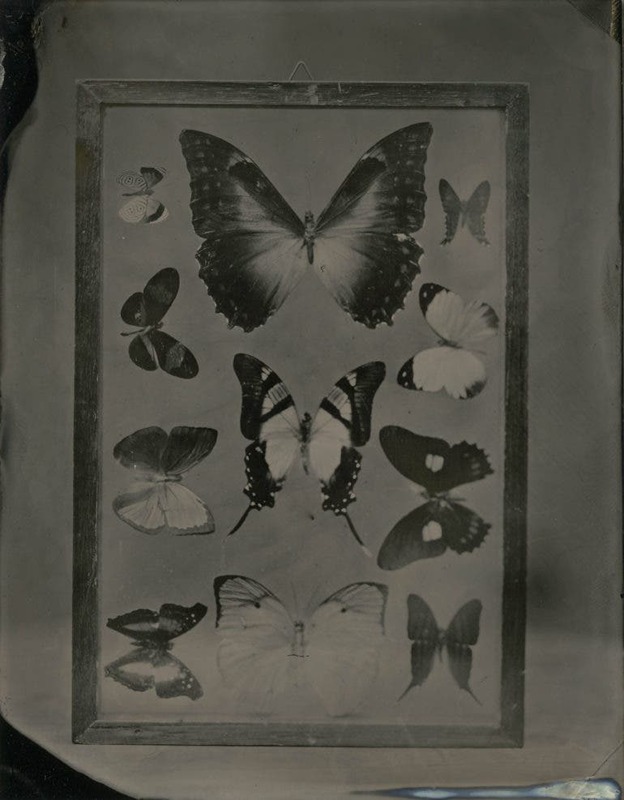 We chose the name “Alchemy Tintype” because of the perfectly suited definition of taking a mundane metal and using chemical processes to make it precious: in our case, taking aluminum plates and making beautiful images with elemental silver deposits (the highlights in wet plate are made of elemental silver). Local photographer and alternative process extraordinaire Ray Bidegain spent many hours investing in my skill as a wet plate photographer, showing me how to safely mix chemicals, and patiently encouraging my passion for a process which is often unpredictable and sometimes frustrating. 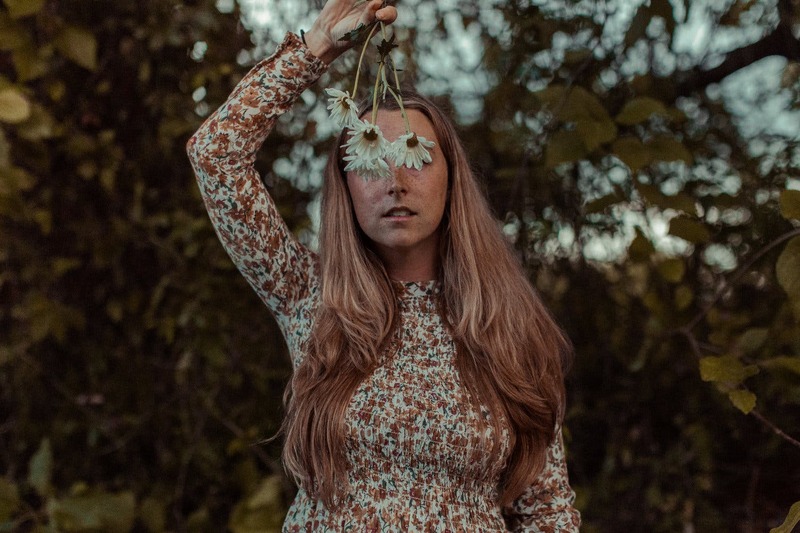 We spent a ton of time together photographing in the studio as well as out in the world, making art, portraits, still-life images and landscapes. For the last year, I have taken over Alchemy Tintype Studio, and have been amazed at the response and support I’ve felt from all kinds of folks who respond on an emotional level to such a special historical process. There is truly something magical about it! It is an object that you’ll keep and value forever. 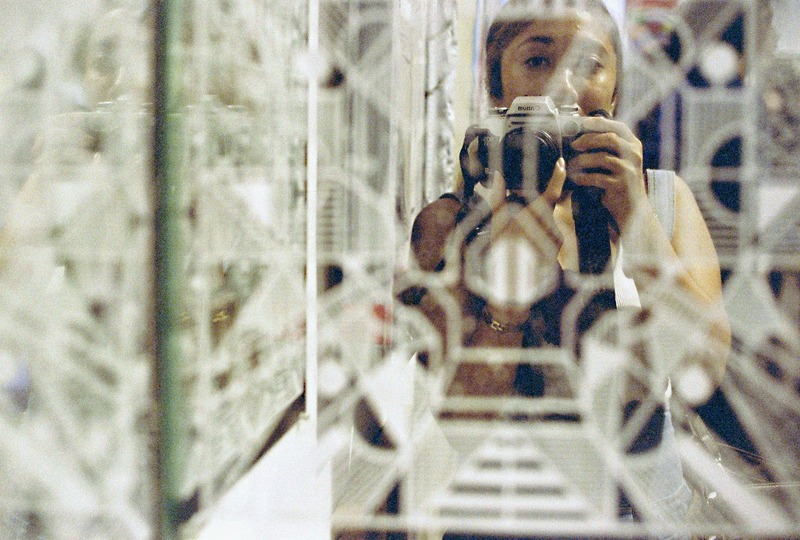 How many images do most of us have of ourselves that we can say the same about? Phoblographer: Can you tell us about the age group/demographics of your clientele? Why do you think they became particularly interested in tintype? Jennings: Part of what is so wonderful about wet plate is that it resonates with all kinds of people, no matter age, gender, or race. There are several psychological aspects of having an image made this way that I find fascinating: the fact that the process lends to a timeless look is quite special for people because it reminds them of their ancestors, and there are many historical implications to the way that is perceived by folks of different races (this process was invented shortly before the Civil War.) The images appear backwards as well: in other words, the way you look in your wet plate image is the way you are used to seeing yourself in the mirror. In this way, these images feel familiar to people in a way that normal photographs do not. I feel excited that young people especially are feeling drawn to slower or more antiquated technologies, especially in the realm of photography. This may be among the slowest of them all, but the results are truly precious. Phoblographer: What do you believe to be the most stand-out advantage/selling point of tintype studios today? Jennings: Our lives are inundated with quick, forgettable, “filler” imagery every day of our lives. We scroll quickly through images of our friends and families, and even the really important photos can get lost in the mix when presented on social media. Tintype’s resurgence now, I believe, is a direct response to and subversion of that idea. Each plate takes several minutes to made, and each plate is a one-of-a-kind physical object (there is no negative or file to fall back on in case you accidentally put a thumbnail through the emulsion and ruin the plate.) The selling point for folks is not that this is quick, cheap, or easy: it is that when you get a really great tintype image made, and you finally hold it in your hand, it feels like the most precious and honest portrait ever taken of you. It is an object that you’ll keep and value forever. How many images do most of us have of ourselves that we can say the same about? 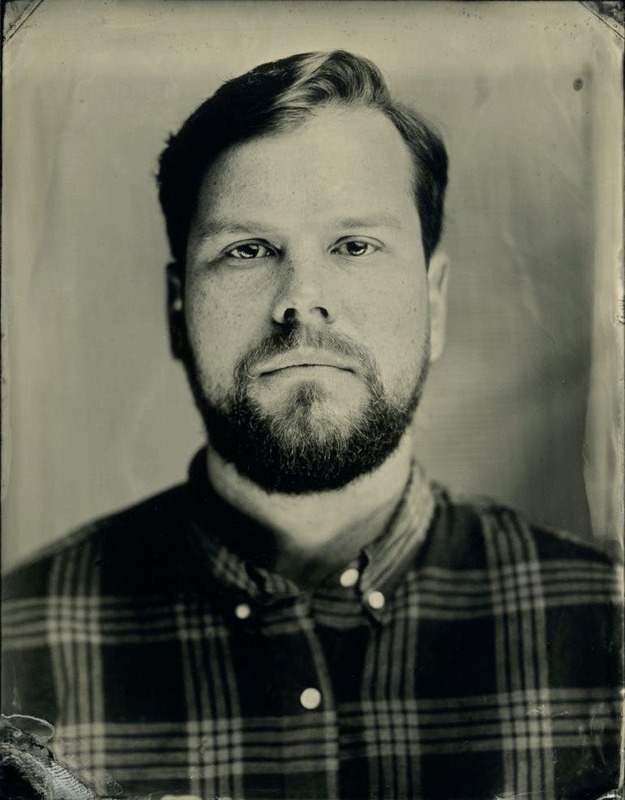 Phoblographer: What is it like putting together a tintype studio and running it? What are the challenges and how do you overcome it? Jennings: To get up and running with a process like this can seem insurmountable, but it is possible if you’re really motivated to do it! It’s not an easy process to get started with, but the results are incredibly worth the hassle. Finding training, a class, or a mentorship is the first step, but I know people personally who taught themselves the process from books that have been written or from YouTube tutorials. Safety is absolutely paramount, as this process uses many explosive, noxious, or carcinogenic chemicals… so care must be taken in mixing and storing chemicals safely, and in the making of the images themselves. Always, always wear a respirator and protect your skin and eyes from contact: no process is worth risking your long-term health! Challenges can arise in ways you don’t expect with other processes. 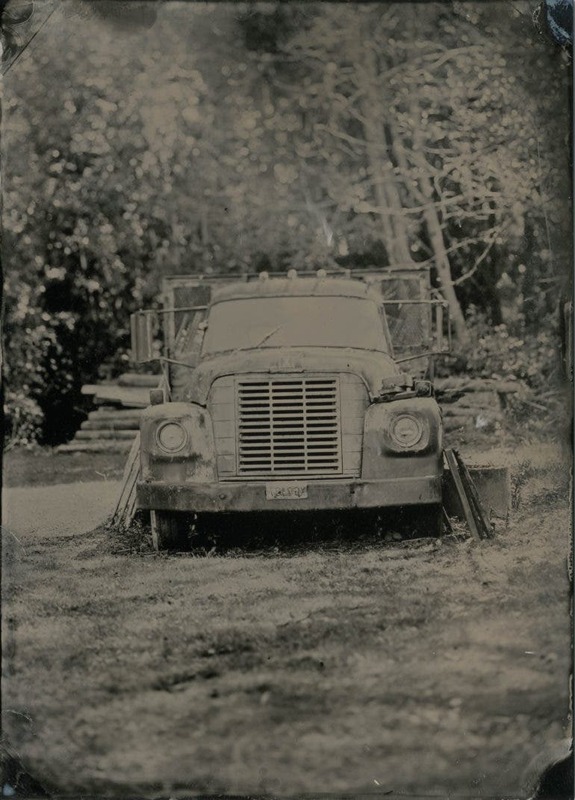 For instance, wet plate collodion plates have an ISO of around 0.5, which means that on a bright sunny day in open share you still may need up to a second of exposure time. Sometimes the limitations of the process can feel hard to overcome, but keep practicing and don’t give up! Phoblographer: Can you share with us the most unique tintype project you’ve done to date, and the story behind it? Jennings: Inspired by the Czech and Central European avant-garde photographers of the 1930’s, I recently locked myself in my studio overnight for a few sessions and made strange, surreal images with a close friend/photographic muse. 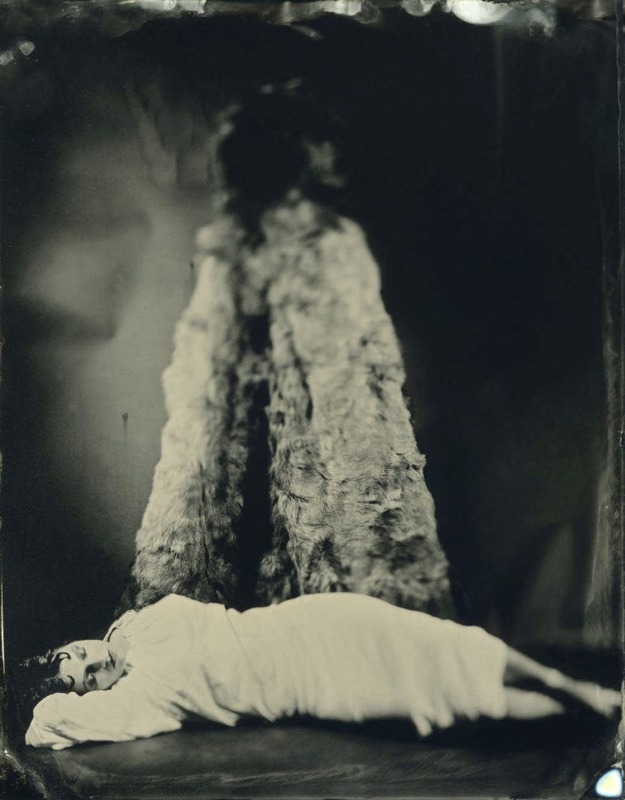 I find the dichotomy between the dream-like metaphors of surrealism and the utilitarian purpose of tintypes to be quite interesting, and I’m excited when I have a chance to use wet plate to make art in a way the process was never intended to do. The resulting plates are very precious to me, and I’ve included one for you to see entitled “The Holy Mountain” (a nod to the Jodorowsky film of the same name). Jennings: Folks are excited when they see the end result of a tintype scanned and posted on my Instagram. But I have found that beyond the immediate visual connection they feel, their understanding of the history of the process, the limitations of the process, and indeed, what the images even really are, is extremely limited. I often have a hard time explaining why the process isn’t easy to travel with (it requires a car full of chemicals, buckets, a portable darkroom, running water) or why we can’t really shoot their engagement photos at the park with it, or why their dog will likely be blurred during a one second exposure. Jennings: I already see this process evolving in incredible ways, and with the resurgence of interest in it, there is a lot of innovation taking place. One wet plate photographer recently made a drone into a tintype camera, for instance! Ironically, the biggest change in terms of access folks have to knowledge about this process is coming from social media: it’s easier than ever to discover new artists, processes, and opportunities. And although I make tintypes as a respite from the bustle of the internet, the internet has allowed me to build a business around doing what I love! I expect that this trend will continue, and I hope it will encourage young people to take time to study the history of photography before they inevitably innovate new ways of photographing. To slow down is to really see, and wet plate enables and requires us to do that in a wonderful way.